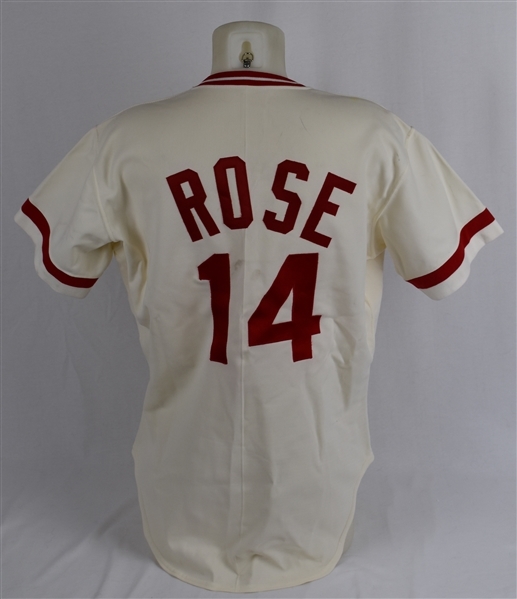 Description: This original Pete Rose 1978 Cincinnati Reds game used home jersey features "ROSE" across the back of the jersey as well as "14" on the front and back in red tackle twill. The Cincinnati Reds team logo is sewn on the left front chest. 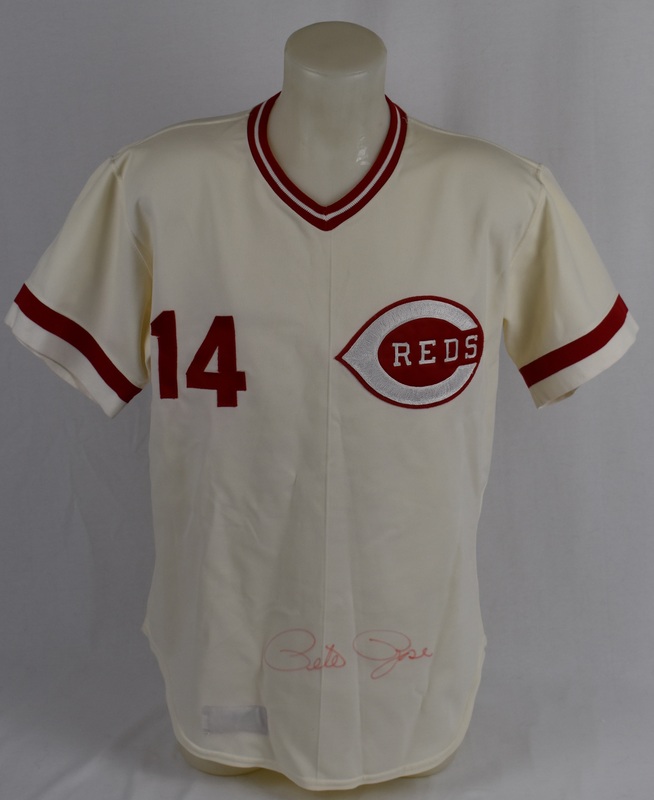 The inner right front tail of the jersey features a "Rawlings 44" manufacturer's/size tag with an affixed white tag that reads "Set 1 1978" for the set and year. 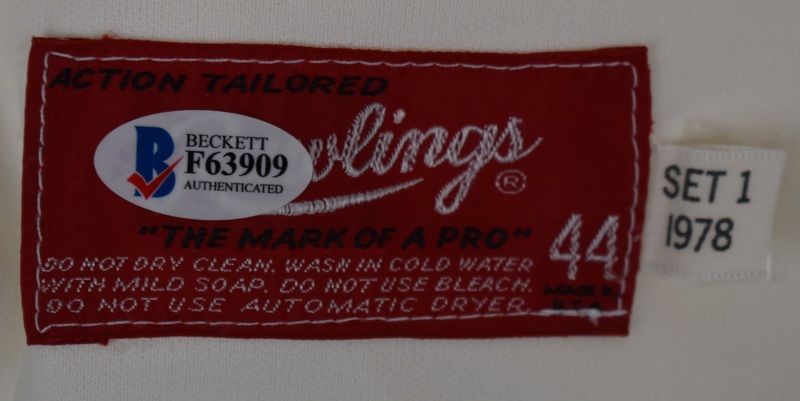 The Rawlings tag has stitch holes on the left side of the tag. 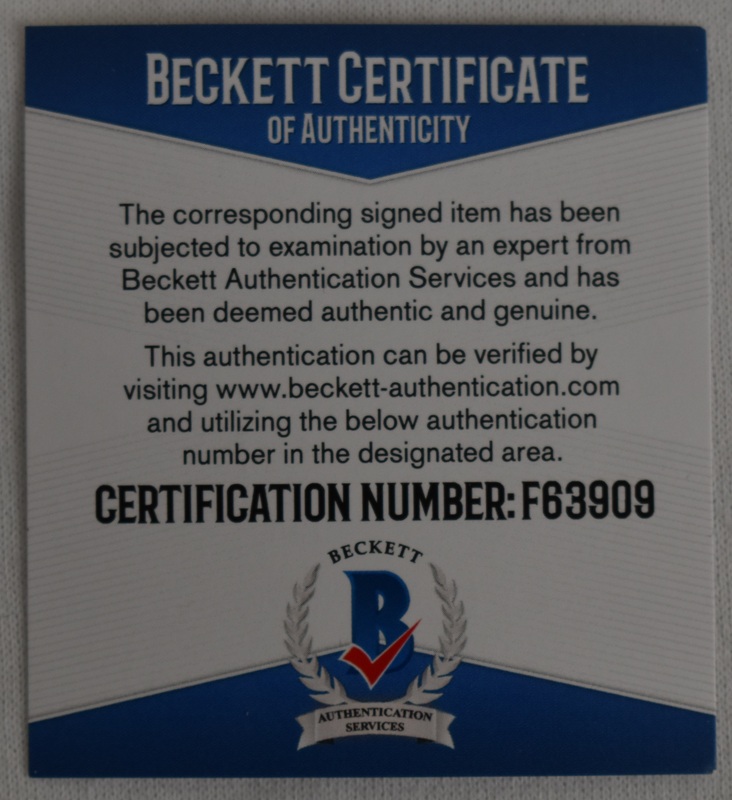 However, no tagging was located there, and the location of the stitch holes imply mis-application of the tag. The right side, where the flag tag is located, gives no indication of tag tampering and the stitch stroke on all 4 sides of the tag is appropriate and consistent. The jersey shows light to moderate evidence of game use and a has a large Pete Rose autograph on the front tail. Pete Rose is baseball's All-Time hit leader with 4,256 career hits. Accompanied by a Letter of Authenticity from noted game used jersey expert Dave Miedema authenticating its use. 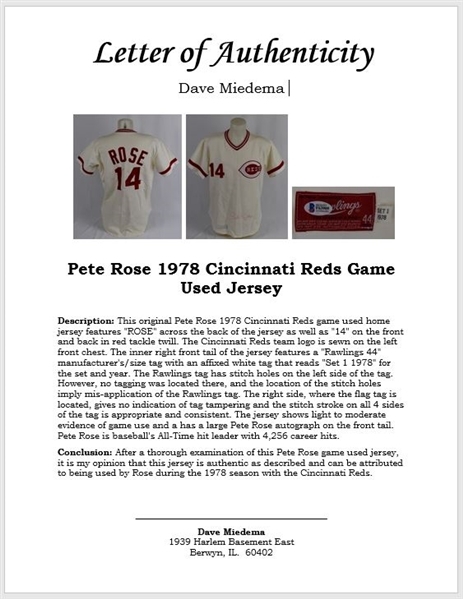 Miedema concludes: "After a thorough examination of this Pete Rose game used jersey, it is my opinion that this jersey is authentic as described and can be attributed to being used by Rose during the 1978 season with the Cincinnati Reds."